The reason for the ban, according to Abdolsamad Khorramabadi, secretary of Iran’s Committee for Determining Criminal Web Content, “is the adoption of WhatsApp by the Facebook founder Mark Zuckerberg, who is an American Zionist.” But the ban is the subject of some controversy within the Iranian government. “The government is completely against the ban on WhatsApp,” said Mahmoud Vaezi, Iran’s communications minister. The Committee for Determining Criminal Web Content does not have the power to implement the ban, and WhatsApp continues to work in Iran, for now. President Hassan Rouhani has promised to ease restrictions on the Internet in Iran, where both Facebook and Twitter are banned. A Twitter account linked to Rouhani retweeted opposition to the ban. Iran blocked WeChat, another popular messaging app, in December and is considering banning other apps, including Instagram. Social media played a role in Iran’s 2009 Green Revolution protests against then-President Mahmoud Ahmadinejad. Facebook has been blocked almost continually since June 2009. 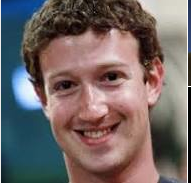 Zuckerberg has been reticent about his views on Israel. Facebook declined to comment. Thanks to Gail Sullivan and the Washington Post for bringing this to our attention.